Do women negotiate for higher salaries at the same rate as men? Kacey Beddoes, assistant professor of sociology at the University of Massachusetts Lowell, discusses new insights into that question and implications of how the wage gap is explained. 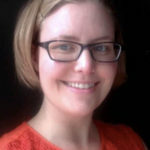 Kacey Beddoes is an Assistant Professor of Sociology and Faculty Associate of the Center for Women and Work at the University of Massachusetts Lowell. She received her PhD in Science and Technology Studies from Virginia Tech (2011), along with graduate certificates in Women’s and Gender Studies and Engineering Education. Her research interests include gender, higher education, and interdisciplinarity. This segment is based on a project entitled Research on Salary Equity Transformation (ReSET). ReSET is a collaboration between Kacey Beddoes and Cheryl Llwewllyn at the University of Massachusetts Lowell, with help from Grace Panther at Oregon State University. As in most other occupational sectors, salary inequities between men and women persist in higher education. That means women continue to receive lower salaries than men, even when disciplinary differences, experience, and productivity are accounted for. One of the dominant discourses surrounding the wage gap is that women do not negotiate as often as men do. This discourse locates the problem and solution in individual women. To better understand the persistent wage gap, and the role of negotiations specifically, we conducted a nationwide survey of tenured and tenure-tack faculty in five disciplines, though the majority of respondents were from engineering. One of our leading findings was that men and women were equally likely to negotiate their salaries; even though both sexes said they believd women negotiate less often. Another leading finding was that men were more likely to receive a greater percent increase in salary from negotiating. Combined, these findings show that we need to move beyond simple explanaitons that problematize women, and instead look at other explanations such as differences in initial offers and how empolyers respond to negotiations. The findings also speak to a larger tension in our data between individual and structural discourses surrounding the wage gap, and the need to move away from individual-level solutions.